How would Axiell define the digitisation of a collection and what it involves? The digitisation of a collection is the process of creating digital representations of analogue materials and it can be achieved in a variety of ways. The spectrum ranges from uploading photos taken with a phone to rapid, automated conveyor belt digitisation. It can include any digital photograph of the collection, not just ones taken by the museum. This approach means that museums could crowdsource digital images to supplement their digital collection. An interesting example of this in practice is taken from a crowdsourcing project called Rekrei, formerly known as Project Mosul, which has taken crowdsourced images of monuments, museums and artefacts damaged by natural disaster or human intervention, and used them to create 3D representations to try and preserve the memory of lost cultural heritage. Creating a digital copy of something is also just one part of the process; digital records need annotating, tagging, categorising and so on. These elements to the digitisation process can often be very labour intensive. Why is digitisation of collections important to museums and cultural organisations? It’s estimated that the largest museums only display about 5% of their collections at any given time, the rest is housed in their vast archives (Source: Quartz). By digitising all, or part, of your collection and making it more accessible you can make it work for you in a number of ways. Improve public engagement: In simplest terms, making your collection available online makes your institution more visible to the public; simply being found on Google can help raise your profile and attract people to the museum. As the adoption of technology generally grows at an astonishing rate – witness the proliferation of smartphones and internet access across all demographics – museums can now more easily reach whole new audiences, and in today’s society, the ease of access to digital content will, to some extent, determine the role that culture plays in people’s daily lives. Now, through new digital platforms museums can not only show their collections to the public, but have dialogue. Social media is just one channel that museums can exploit, using the digital collection as a way to reach out to people online. With this, the interactive museum is a possibility, where museums can fully share aspects of their collections and practices that previously were never accessible; an engaged online community can contribute to what museums show, share their insights back to the museum, help design exhibitions and much more. With a digital collection the shackles are off, your museum can be imaginative and creative like never before and explore new ways to engage, display, promote, create and share. Knowledge sharing: Create a whole new platform for knowledge sharing; open-up your collection to the public, other institutions, researchers, educators and more. Having your collection accessible and searchable means you can share your knowledge and your data so that others can learn and benefit from it. One of our customers, the Rijksmuseum in Amsterdam, is considered to be at the forefront of digitisation, and undertaking an ambitious project to digitise their entire collection. “Today, 25 percent of the museum’s collection, including nearly all of its paintings, is freely available for download in high-resolution on rijksmuseum.nl, with new images being added every day”. Moreover, their attitude to copywrite and sharing is incredibly progressive. “It’s really a fundamental belief of the management at the Rijksmuseum that sharing is the new having,” said Cecile van der Harten, the head of the museum’s image department. Read more about their project here. Modern documentation: It’s a reflection of the time that we are increasingly creating new digital (“born digital”) content, it’s important that we document and preserve this for future generations. Whether you are digitising a physical collection, creating or collecting new digital content, you need a digital strategy and the technical infrastructure in place to move forward. Digitisation is also an important part of preservation, when considering certain items in a collection, like analogue film. Taking old film from a physical format to digital ensures the preservation of the recording and the physical form of the original e.g. the roll of film. What expertise does Axiell offer to cultural organisations to make their digitisation projects work? Our global work with institutions of all sizes and budgets provides a unique perspective on how to help each site set achievable goals. We’re in a position to recommend low impact, low cost strategies as well as automated options. Sites like the New York Botanical Gardens scanned and linked 450,000 images to their EMu system in 2018. Whether using drag and drop, “hot folders”, or microservices, Axiell provides a spectrum of possibilities. We also collaborate with industry bodies such as Museums and the Web to research topics such as Digital Transformation in the Museum Industry, and partnered with a leading museum to run a seminar on digital asset management. Can you briefly describe the technology you use to assist with the digitisation of collections? Axiell’s role in a digitisation project is not to undertake the digitisation process itself. Our expertise ensures you have the foundations in place to be successful in your project, to advise you on your digital strategy, and to give you the tools to make the most out of your new, enhanced collection, so that you are meeting your digitisation goals in the most efficient way. We have a range of options to help museums during the digitisation process, some are low-tech and as simple as helping teams link in-house digitised files to Axiell systems via Excel spreadsheets. Others are more complex and involve creating custom coding to help support projects such as the Smithsonian’s rapid digitisation project. You can read more about this project here. 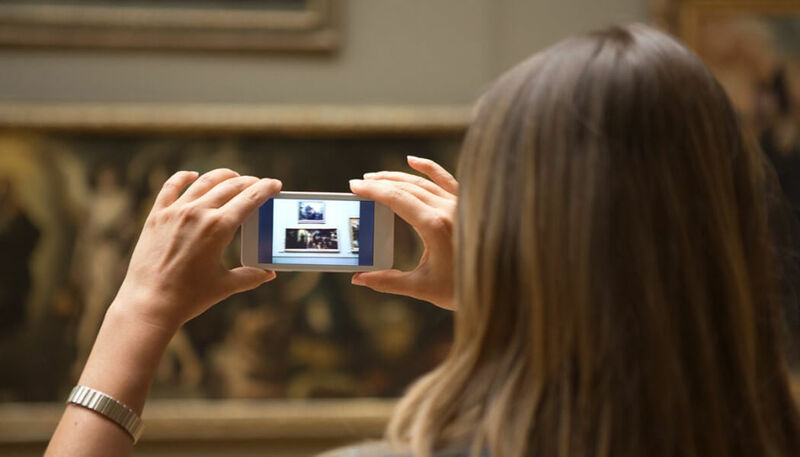 Can you describe how Axiell supports cultural institutions that have an increasingly large digital collection? A critical part of digitising a collection is having the infrastructure and digital strategy in place to support the creation of vast amounts of new data. You’re creating an entirely new collection, and it’s imperative that the new digital content and the existing collection work together harmoniously. Many of Axiell’s Collections Management Systems have very flexible data structures which make it easy for us to respond quickly to the changing data requirements for born digital materials. EMu, for example, can index text from documents that are uploaded as attachments to a record. This can be seen in practice at St Andrews Photographic Archive, where they have extended this to the web. Thus, a website search returns not only relevant images, but also links to Word and PDF documents. Another interesting example of the CMS supporting digitisation is, again from EMu, the ability to extract meta-data from an image and use it to automatically populate fields within a record, like the photographer’s name, or image title and description. 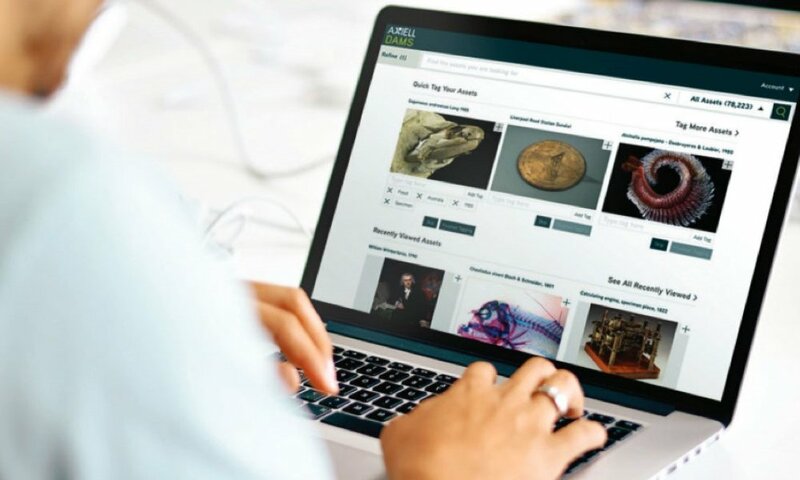 For institutions that have large digital collections, Axiell DAMS is a digital asset management system that helps museums go one step further, and start exploiting the value of their digital collection by making it more accessible, searchable and usable. 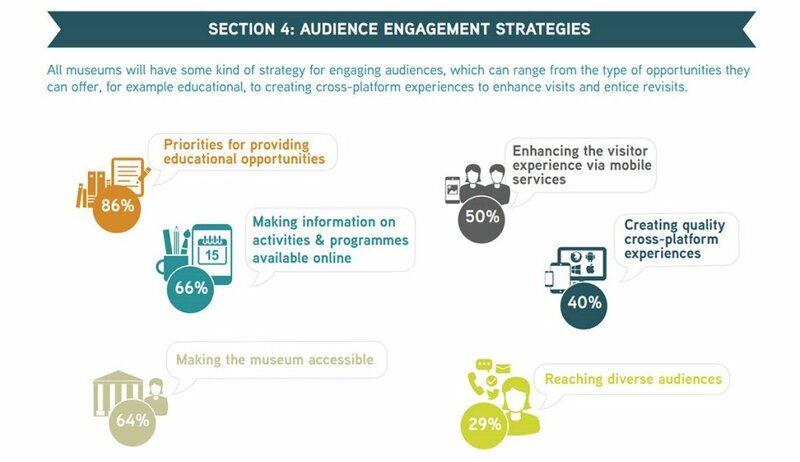 With Axiell DAMS museums can open up their digital assets to departments across the organisation, so marketing and public engagement teams can start using the museum’s digital assets more effectively. Earlier we suggested that digitisation gives museums the opportunity to explore new avenues in creativity; it’s Axiell DAMS that provides the foundation for this. What are the main challenges that institutions face when undertaking digitisation projects? Knowing where to start: Digitising your collection can be an enormous undertaking, there are many ways to achieve your ultimate objectives and lots of questions to answer before you get started. Choosing a method of digitisation that suits your needs and your budget: To make a similar point to the previous one, think about why you’re digitising and what your goals are before you think about how you are going to do it. Technology is merely a means to achieving your goal, it’s not the goal. Having the right tools for the job: You need the infrastructure in place to cope with the new types for information you’re creating – new file formats, new levels of meta data – is your collections management system set up to make the most out of all this new info? Communication: Does everyone know what you are doing and why? 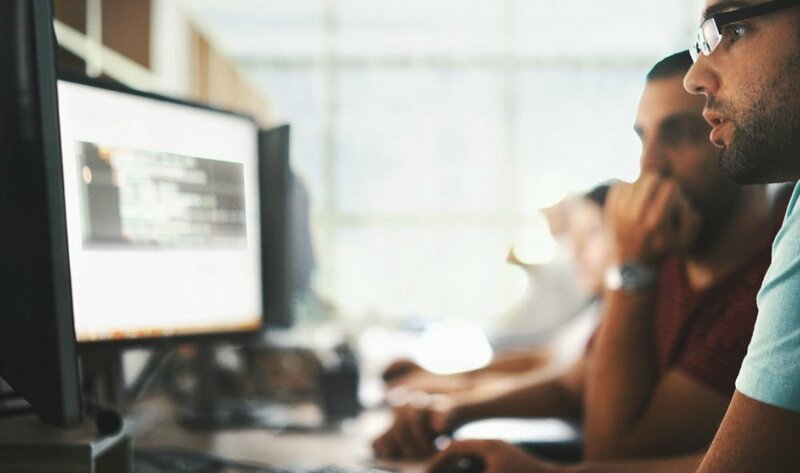 Your staff will need to be on board and briefed about your new digital strategy, and how to use either new tools, or existing tools in a new way. You can have a fully digitised collection, but if you’re not making the most out of it you’re wasting your investment. In-house expertise: The challenge of deciding whether to use existing staff and learning on the job vs bringing in external help and hitting the ground running. Data accuracy: When transcribing information from handwritten labels to a digital format there is the obvious challenge of ensuring data completeness and accuracy. Human error is natural but there are steps that you can take in the planning process to mitigate this to some extent. Predicting the future: Digital format obsolescence is a real concern for the preservation of digital collections. The question: ‘How am I going to keep my stuff in the long term?’ is a really important one, one that needs to be considered before making any decision to create thousands or even millions of digital files. File formats come and go, and digital records can degrade over time just like physical objects in a collection, but a lot of museums simply aren’t geared to tackle the challenge of digital preservation like they manage the preservation of physical objects. What are the best practices for a digitisation project? Start with why. Why do you want to digitise your collection? Before you start any digitisation project it’s key to understand your goals. Think about where you are now, where you want to be, and develop a strategy for getting there. Leveraging volunteers – getting unpaid helpers to give up their time to perform some of the more labour-intensive tasks. Crowdsourcing data – the Smithsonian have taken full advantage of digital technology and use their own volunteer platform to assist with digitisation projects. Their 11,482 “volunpeers” have collaboratively transcribed and reviewed 369,419 pages of field notes, diaries, ledgers, logbooks, currency proof sheets, photo albums, manuscripts, and biodiversity specimen labels since 2013. Crowdsourcing images – as per the crowdsourcing project Rekrei, the digital images that help tell a story about an object don’t have to be your own. This has a limited viability but could be useful in some instances. Employing extra professional staff or recent graduates to ensure the appropriate expertise is available for a big project. Can you describe a project that you’ve worked on recently that shows the benefits of digitisation and improved digital asset management? Imperial War Museum (IWM) is an Axiell customer with over 33 million unique items in their collection, over 23,000 hours of film material and hundreds of thousands of photographs. You can read about their project here. IWM use Axiell DAMS and Axiell’s Adlib CMS to upload their digital content and ensure that it is catalogued, tagged and linked correctly. The DAMS ensures that this new digital content is easily searchable and accessible – to the public and staff. Aside from the benefit of greater public visibility of the collection, digitisation has commercial benefits for them too, as so many of their assets are used for film, TV or licenced to other publishers. Axiell DAMS has also helped the museum meet their digital preservation responsibilities; it can manage multiple file formats, file sizes and a high throughput means the digitisation project overall can be accomplished much faster. As an example, Axiell DAMS in its trial months enabled IWM to process 2.7TB of film, compared with 0.3TB pre-Axiell DAMS. Another museum that we have worked with is the Smithsonian, they have been a leading light in the digital arena, it was back in 2013 when they published the e-book entitled “Best of Both Worlds: Museums, Libraries and Archives in a Digital Age”. It charted a course that led them through years of digitisation, crowdsourcing research and opening up its collections for the public. They have been digitising their collection of over 14 million objects, and their vision is largely around public engagement; they want to engage people in the creative activities of the museum, to create a dialogue with the public. “There are also cases where people know more about certain artifacts than we do. We have lots of implements from Native American tribes, and they may know more about them than we do, and we’d love for them to tell us about those objects. People are going to be engaged with us in a conversation, not a monologue. We’re not the ‘Voice of God’ anymore. It’ll also mean letting people share in our research.” – Secretary of the Smithsonian Institution G. Wayne Clough.